Please consider joining the Varne Owner's Association, give your time to make the club stronger! Varne Marine was based on the picturesque River Blackwater in Essex (for the history page, click here). Please contact us if you have any detail to add, however slight. Association members should use the forum. 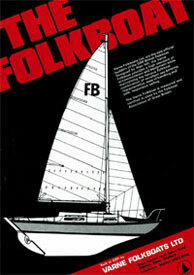 Alan Hill designed the coachroof of the Varne Folkboat for "Varne Folkboat Limited". 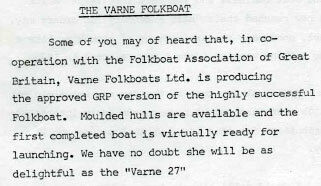 Dennis Byatt (now an honorary member) recalls: "An agreement with the Folkboat Association led to the production of a fibre-glass version which was also shown at Southampton. 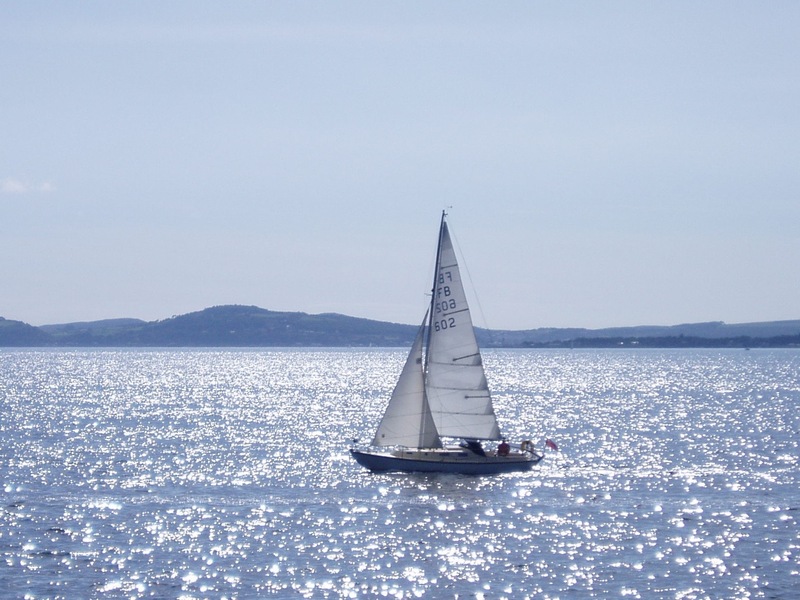 We exhibited at local boat shows, took part in the "One of a Kind" event and exhibited at the Southampton Boat Show. A significant number of early customers were from Scandinavia and Holland. The demise of the company was the three day week and the exchange rate which devastated sales and the firm was wound up. The moulds were sold but I'm not sure of the details." 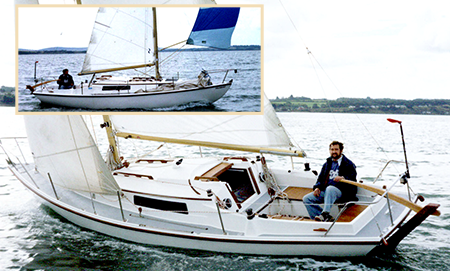 The image, from Dennis Byatt, shows Mabel Byatt in a Varne Folkboat at the September 1977 Southampton Boat Show. 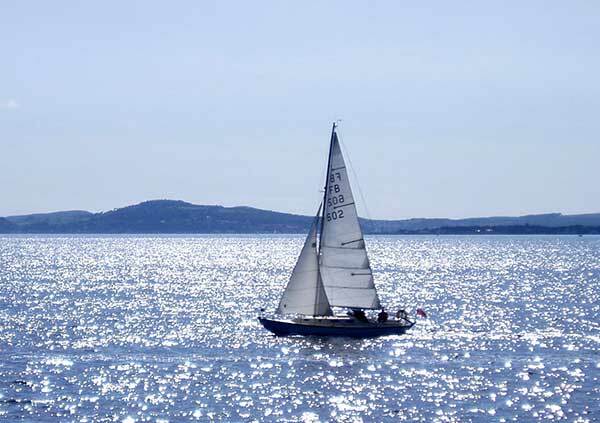 (note: only boats / owners we're aware of - members only).